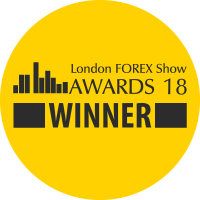 for an exclusive live trading event. Trade multiple products worldwide from a single multi-currency account. Access 26 global markets with our desktop and mobile trading platforms. from a simple multicurrency account. The easiness of a multicurrency account. Your financial services in a single place. Welcome to the world's most recommended bank. 1 CFD are excluded from the offer of 100 commission free trades. CFDs are complex instruments and come with a high risk of losing money rapidly due to leverage. 78,7% of retail investor accounts lose money when trading CFDs with this provider. You should consider whether you understand how CFDs work and whether you can afford to take the high risk of losing your money. 2 Bank No. 1 in Europe for online trading (for Executed orders) / The most used platform in Europe – Source: Main European brokers balance sheets 2016 (Comdirect, ConsorsBank). 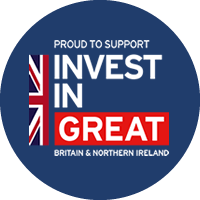 3 The £3.95 fee is only applied, if the total generated monthly commission fees are more than £800 for online transactions on UK Shares, European shares [NS1] (EquiductGermany, Xetra, Equiduct France, Netherlands, Portugal , Euronext, Italy), US Shares (Nyse, Amex, Nasdaq). The fee is also applied for specific types of derivative futures, if the generated monthly commission fees are more than £500. See the fact sheet for further details. Transactions executed on the following markets are subjected to additional costs: Finland, Spain , Switzerland and all orders non traded on line or not marketable on line. See the fact sheet for further details. For transactions executed on specific markets, you may incur additional taxes or fixed fees related to the single market. 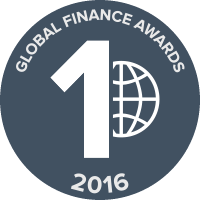 Best Digital Bank in Italy – Source: Global Finance Award, financial magazine – 2016. World Finance 100 Award – Source: The international magazine World Finance 100 positioned Fineco amongst the top 100 corporations of 2015, from a selection of 17 banks at a global level. We’ve just sent you an email with your coupon code. Insert the code in the account opening form when opening a Fineco account and receive your 100 commission fee trades. Free trades on Equities, Bonds, ETFs. First 3 months only. New customers only.